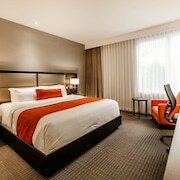 Where to find Mont-St-Hilaire hotels near an airport? Where can I find hotels in Mont-St-Hilaire that are near tourist attractions? 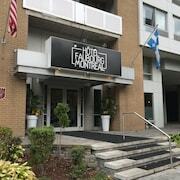 Researching a hotel or apartment in Montreal, particularly in Mont-St-Hilaire? Central Mont-St-Hilaire has 5 Expedia-recommended accommodation options within 0.1 kilometres (0.06 miles). While Mont-St-Hilaire can't lay claim to having an extensive array of hotels and apartments right near the heart of its downtown area, Auberge Montagnard is central enough to please most visitors. 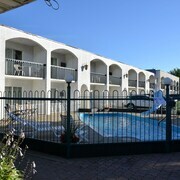 The Hotel Mortagne can be found 20 kilometres (13 miles) from the center of Mont-St-Hilaire. 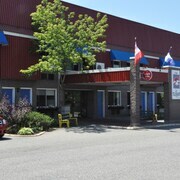 Alternatively, the Hôtel Alt Quartier DIX30 is located 25 kilometres (15 miles) away. Two other hotel options are the Holiday Inn Express Hotel Saint - Hyacinthe and the Holiday Inn Express St. Jean Sur Richelieu. The greater Montreal - Monteregie area is certainly worth seeing as well. Explore Montreal - Monteregie's old towns, churches and cathedrals. Those with a hankering for fresh air and wide open spaces could also take the time to enjoy its forests, rivers and lakes. Adventurous visitors can also try skiing, cross-country skiing and ice skating here. Looking for things to do? 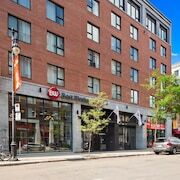 Consider spending a few hours discovering Musee des Soeurs Grises and Musee des Hospitalieres de I'Hotel-Dieu de Montreal, in Downtown Montreal, 30 kilometres (20 miles) to the west of Mont-St-Hilaire. 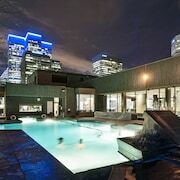 If you'd like to spend a night or two in Downtown Montreal, check Expedia's booking pages for the latest deals at the Auberge de La Fontaine and Ritz-Carlton, Montréal. Or stay in Rosemere, 50 kilometres (30 miles) to the west of Mont-St-Hilaire, where you'll find the Spa & Hôtel Le Finlandais and Aux Berges de l'Ile Garth. The Arena Rosemere and Place Rosemere are just a couple of the more popular points of interest to explore in Rosemere. If enjoying sport is a favourite pastime, make the time to visit Olympic Stadium, which is 30 kilometres (18 miles) to the west of Mont-St-Hilaire. Book accommodation near the action at the Loft Hotel or the Auberge Le Pomerol. Pierre Elliott Trudeau International Airport is a nearby airport, and can be found 45 kilometres (29 miles) from Mont-St-Hilaire. Conveniently located hotel options are Montreal Airport Marriott In-Terminal Hotel and Hampton Inn & Suites by Hilton Montreal-Dorval. What are the most popular Mont-St-Hilaire hotels? 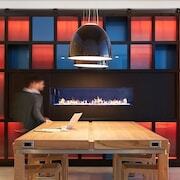 Are there hotels in other cities near Mont-St-Hilaire? What other types of accommodations are available in Mont-St-Hilaire? Explore Mont-St-Hilaire with Expedia.ca’s Travel Guides to find the best flights, cars, holiday packages and more!